Ciudad Juárez, Mexico, and El Paso, Texas are just miles apart and yet they are worlds away. As you explore both, you notice the cities blend into one another: people living on one side, working on the other, Spanish and English spoken in both, and a shared industrial vibe. And yet, the cities remain two distinct realities – divided by a large border wall, 18 feet high in some places. People on one side are trapped by low wages, poor working conditions, violence, and persecution, and on the other trapped by their own minds and biases. But there is a deep inequality between the two countries, and, in the United States, an explicit denial of the experiences of people living south of the border – people most of us have never even met. It baffles me how a barrier can create not only physical separation, but a separation that is strongly emotional and visceral. 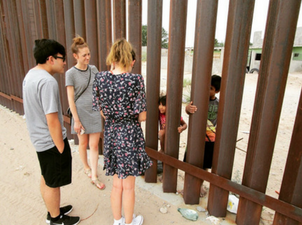 In early July I went to the U.S.-Mexico border for the first time. Working at a federal advocacy organization in Washington, D.C., I am constantly reading news about what’s happening at the border: people fleeing violence in countries such as El Salvador and Honduras, debates on funding for the border wall, family separation, the list goes on. Despite this, I always felt a desire to go the border – to meet people and hear their stories. D.C. is geared towards engaging with immigration on a policy level, but it often feels disconnected from what’s happening on the ground. 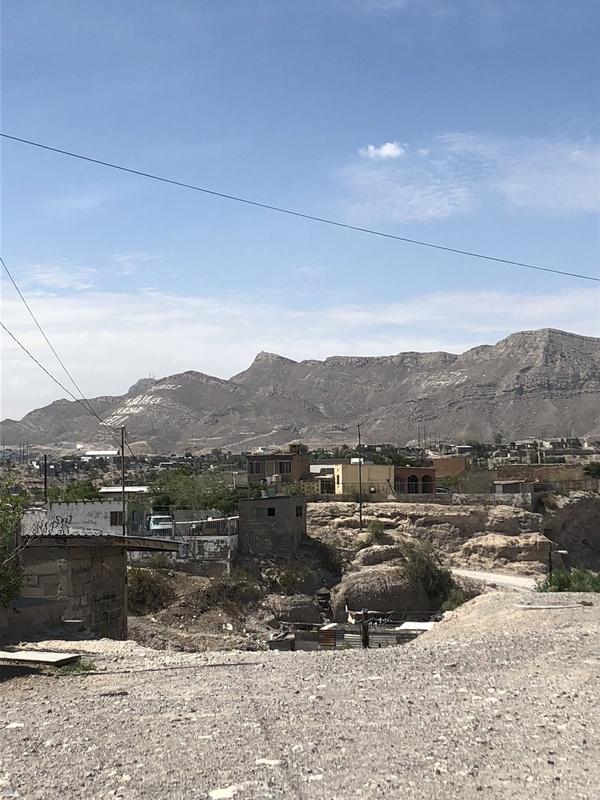 This trip was a chance to immerse myself in the reality of the border—learning about the working conditions for people on both sides, the process for seeking asylum, the experience of migrants, the conditions in detention centers, Customs and Border Protection, and more. It was a chance to learn, but also a chance to feel the impact of the border and the precise division it creates. 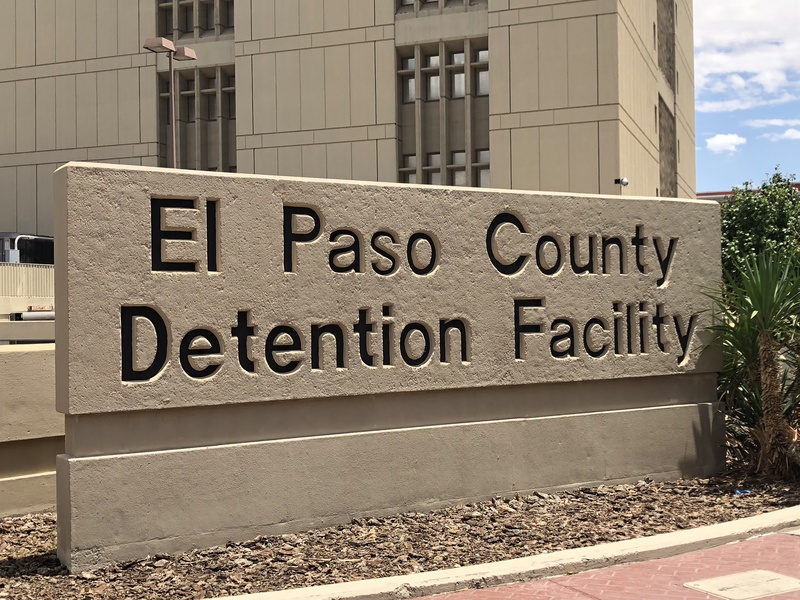 In addition to helping at local shelters, we met immigration advocates and attorneys such as Anna Hey, Deputy Director of the Diocesan Migrant and Refugee Services (DMRS). Anna gave us an overview of the particular barriers facing migrants coming to the United States, explaining the snares they often get caught up in the legal process. Among all the things Anna shared with us, what stood out to me the most were the discrepancies between the number of people granted asylum from state to state, depending on where their case is heard. (In New York, New York the grant rate is 85%, while in El Paso the grant rate is a mere 6%.) Additionally, Anna noted how the whole “wait in line” argument is complete bologna. Some people applying for immigrant visas or Legal Permanent Residency (LPR) may have to wait over 20 years! Hearing about this and the lived experience of the clients Anna works with exposed the undeniable reality of our dysfunctional immigration system. Towards the end of the week we crossed the border into Ciudad Juárez, Mexico. While there, we visited the Bibloteca Infantil, “El Buen Pastor,” a children’s library started by Cristina Estrada. Cristina explained how the limited economic opportunity in Juárez dissuades many people from finishing their education. Maquiladoras (foreign-owned and run factories) are common in Juárez and many Mexicans – often multiple members of the same family– end up working in them. We talked to a representative from Foxconn (an electronics manufacturing company), who told us that the starting wage is around $60 a week. Broken down, that means that at least three members of a family would have to work to make ends meet. Recognizing that many Mexican young people see factories like this as their only path, Cristina’s mission at the children’s library is to provide a space for young people to learn, study, and grow. She provides books for students and helps tutor them so they are able to recognize the value of education and where it can lead them. When one of our group members asked Cristina what she hoped to accomplish, she replied with tears in her eyes, saying her dreams had already been fulfilled. Seeing so many kids achieve their educational goals over the years is her greatest accomplishment. This entry was posted in Emerging Justice Seekers, Front Page, Immigration, Staff, Women and Families on July 20, 2018 by maryc.